Vintage Clouds, a first-fence faller at Aintree on Saturday, features among 34 left in the Coral Scottish Grand National at the five-day stage. 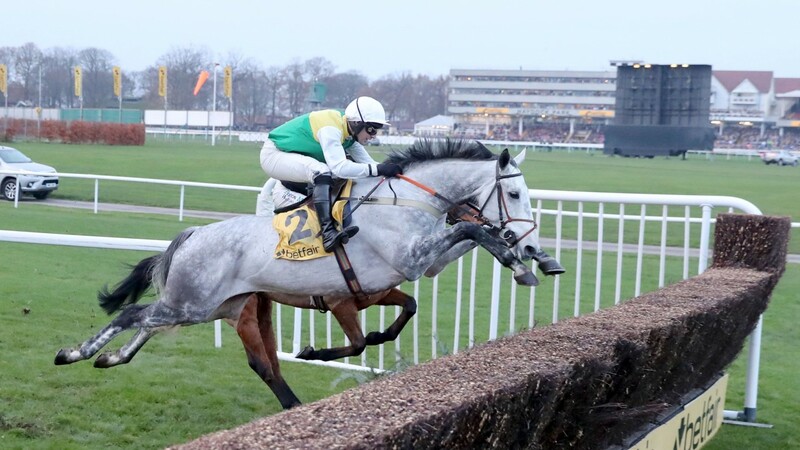 The grey, well supported into 11-1 for the Randox Health Grand National, galloped away after his first-fence departure and could bid for redemption at Ayr just a week on, in a race in which he finished third last year. Beware The Bear, winner of the Ultima Handicap Chase at the Cheltenham Festival, heads the weights, with The Young Master, who missed out on the Grand National by one spot, also among the possible contenders. A maximum field of 30 can run in the £215,000 four-miler, with Geronimo currently occupying the last spot. Nicky Henderson has left Verdana Blue and Brain Power in the CPMS Scottish Champion Hurdle on the same card. Both were pulled out of the Aintree Hurdle late on due to the softening surface. 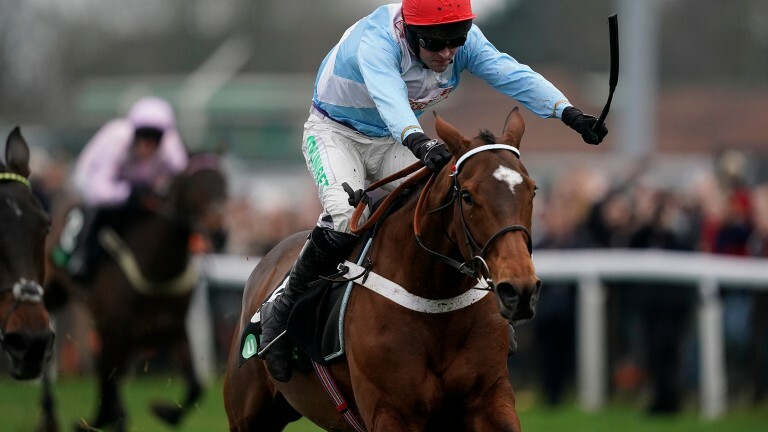 Aintree Hurdle third Ch'Tibello will not run at Ayr, leaving Verdana Blue as the new topweight. Henderson could also be represented by smart novice Mister Fisher, who finished eighth in the Supreme Novices' Hurdle. A total of 21 remain in contention. 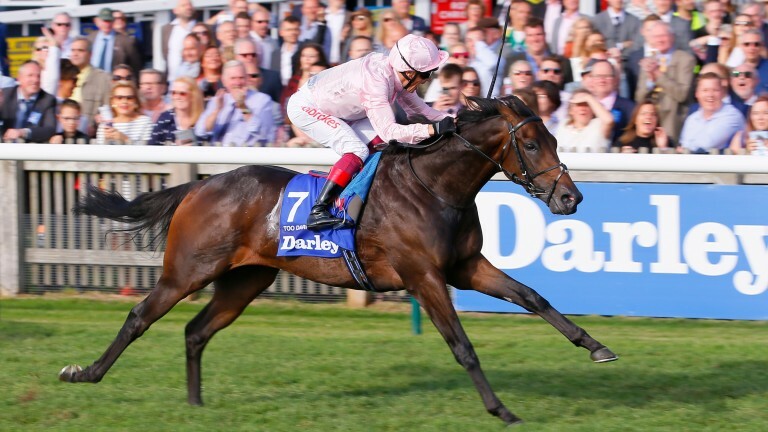 Hot Qipco 2,000 Guineas favourite Too Darn Hot has been entered to make his seasonal reappearance in the Watership Down Stud Greenham Stakes at Newbury on the same day. The exciting unbeaten colt, crowned champion two-year-old last season, could face up to 13 rivals on his return in the seven-furlong Group 3. Hello Youmzain and Mohaather are both Group winners and head the potential opposition to the John Gosden-trained superstar. In the Group 3 Fred Darling Stakes on the same card, a prominent trial for the Qipco 1,000 Guineas, 21 have been entered, including Albany winner Main Edition, Star Terms and So Perfect. The John Porter Stakes opens the card and has attracted a strong group of 15 entries. Last year's winner Defoe could be involved again, with Young Rascal, Laraaib, Raymond Tusk and Mootasadir also entered.